Oh, the power of gratitude. It is truly a wonderful thing. Who would have thought such powerful changes could be brought about by taking a moment to focus on the positive things in our lives? 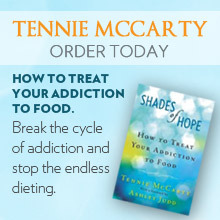 Even those of us suffering from an addiction can benefit from this seemingly simple exercise. For some reason, we human beings seem to be programmed to fixate on the negative aspects of our lives. It’s our default mode as we get older. Negativity carries with it such a debilitating power, and with this power comes a destructive force. Everywhere we look, there are images that are designed to make us feel incomplete, inferior. “Beauty secrets you never knew”, “Miracle diets because you need them!”, “Look younger today!”… Read any selection of magazine covers or turn on the TV and there it is, a relentless barrage of programming that was meticulously produced to create this sense of dissatisfaction in your life. What these commercials and magazine covers never encourage you to do is to take stock of the positive things in your life, or to take a moment to focus on the things that you are thankful for. Ah, yes… thankfulness. What a beautiful word. To feel thankful for the aspects of our health that are good, to feel gratitude for family, friends, a roof over our heads, our beloved pets… Oftentimes we can get so wrapped up in our heads, so fixated on those niggling things that aren’t right in our world, that these wonderful facets of our lives get neglected… and these are the things that are good, that are keeping us afloat. How unfortunate that we close our eyes, and sometimes our hearts, to them because we are wrapped up in our own dramas! As a simple exercise, take 15 minutes today, or as soon as you can, to close your eyes, focus on your breath for a moment, then think of the things that bring you joy. Choose to fixate on even the littlest of things that you consider positive in your life. Do you have a home? Can you walk? Can you see? Do you have family you care about? Give your heart to these things and be in that moment. Now imagine if you do this exercise, say, twice a week, then three times, perhaps more. What sort of change do you think it would make if this became a habit to feel that warmth of gratitude on a regular basis? This may not cure everything that ails you, but what it can do is provide you with a foundation, a safety net that you can fall back on when times get tough. See, the journey to recovery is multi-faceted, and it’s a long, bumpy road. You’re going to need some powerful weapons in your arsenal when you feel under attack. An awareness of the good things in your life is key to keeping you energized, motivated and focused. Addiction is a deceitful force, it can try to sway you in to thinking your life is without merit, that you are weak and have nothing to live for. Gratitude will help you cut through the lies and the negative programming. If you don’t believe us, try it! You will see for yourself how much it can change you life.